If you have passion for supporting at-risk youth, love the outdoors and can work with groups in adventure-based/ action/based learning settings, then you might be just who we’re looking for! Seeking a job of significance in a dynamic Christian ‘not-for-profit’? SUQLD, a Christian children’s and youth organisation is seeking a Connect Assistant on a Part-Time basis to join the team. The SU QLD Connect program is a long term adventure based learning program that works with at-risk youth through Queensland schools in conjunction with the Chaplaincy service. 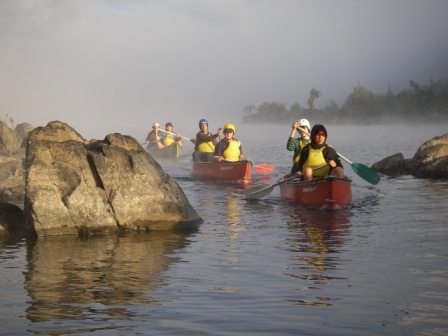 Each program consists of a series of wilderness camps and in-school sessions. This position will be responsible for assisting the Coordinator in the facilitation and delivery of programs within the Brisbane North area. For more the full position description and more information about SU Qld, please visit our website: www.suqld.org.au. To enquire or apply for this position, please contact SU QLD 07 3112 6400 or email vacancies@suqld.org.au by Friday 25th November, 2011.